Dog Walks Around The Norfolk Coast - here's your chance to get hold of the book that has some really great dog friendly walks, all of which need very little time on the lead, and at the same time you can enjoy some fantastic views or walk around some places of interest. 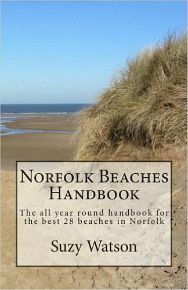 This book contain 16 circular walks which vary in length, but all have one thing in common; very little time is needed on the lead. I know what it’s like to try and find good dog walks, particularly if you’re on holiday somewhere and you don’t know the area very well. 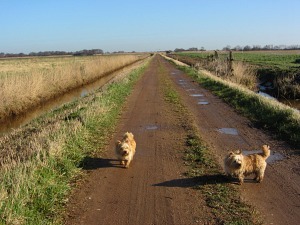 This is a great excuse to explore a little bit of Norfolk with your pet. I must just add that part of one of the walks can become quite waterlogged in stretches - this is the Dilham Canal walk so please bear this in mind when choosing this walk. Boots may be a good idea. 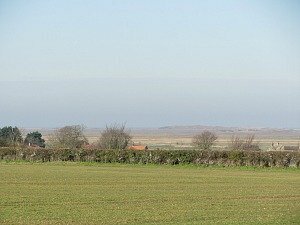 You can find the Dog Walks Around The Norfolk Coast here. (Just for your information, the maps in the paperback book take up a whole page, where as the maps on the kindle version are much smaller). Our dogs come everywhere with us these days, and with more and more pet friendly accommodation available, it seems silly not to let them enjoy a holiday too! So this book will give you lots of ideas for lovely walks. You can take a "look inside" on the Kindle Version here. Here’s a snippet of an example of one of the maps. 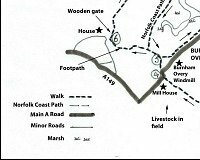 These maps are intended for information only, as they are hand drawn, but a relevant OS map is always advisable. Having said that, most of these walks are very easy to follow as more often than not there are way-markers. 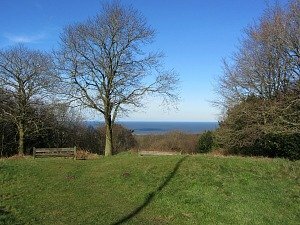 And if there aren’t way-markers, then the area is probably small enough for you to get your bearings and head in the obvious direction of the walk. The route is also very detailed, so it would be wise to carry the book with you. When writing this book, I always put myself in the position of someone not knowing the area and therefore giving instructions that are easy to follow. It's a nice thin book with a glossy cover so is easy to hold or should fit in your pocket - it measures 5" x 8". 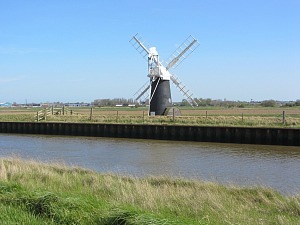 These walks cover the whole of the Norfolk Coast stretching from Snettisham on the west coast to Caister-on-Sea on the east coast, and all are suitable for any size of dog! 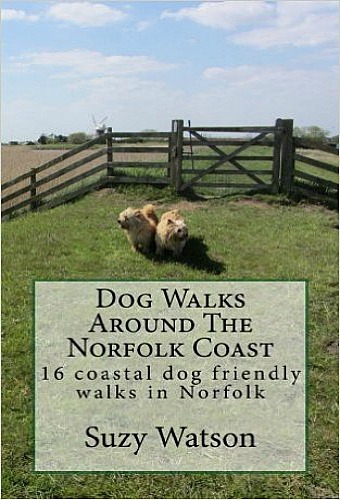 You can see and purchase the Dog Walks Around The Norfolk Coast book here. This is a purely black and white book, but these photos above give you a glimpse of what you will see. For me, the most important thing was that this book was created from my own desire to find good dog walks which didn't take all day, and which would let the dogs run free as much as possible. Many of the walks I discovered whilst writing this book were great for us as humans, but not quite so good for dogs. There were too many trails which required lots of road walking, which was something I have tried to avoid as much as possible in this book. I also made sure that the walks were interesting. There were a few I did that I crossed off the list as they were just plain boring! Why not take a "look inside" the Kindle version here? With this book, you have a choice. There’s a paperback version or if you like digital downloads, there’s a kindle version. One thing to note, as mentioned above, is that the maps in the paperback book cover one side of the page, where as in the kindle version the maps are much smaller. 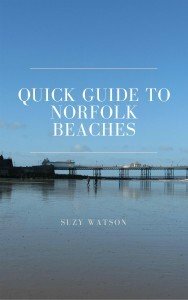 Covering 16 coastal dog walks, this is a handy little book for exploring the beautiful Norfolk coastline and I very much hope you enjoy it.